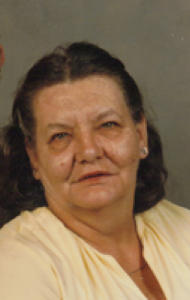 Margaret R. Clark, 79, 401 Milliette Ave., Anna, Ohio formerly of Port Jefferson, Ohio died at her residence on Sunday, February 22, 2009 at 4:10 AM after an extended illness. She was born February 14, 1930 in Urbana, Ohio the daughter of Truman Earl and Dorothy (Rossell) Reeves and they are deceased. Also the step-mother, Pauline Smith is deceased. She was married in 1959 to Philip William Clark and he died in 1989. Surviving are six children, Mrs. Sharon (Wendy) Watkins and husband Vernon of Anna, Ohio; Mrs. Susan Brackney and husband Larry Ray of Sidney, Ohio; Randy Joe Clark of Chandler, Arizona; David Wayne Clark and special friend, Rita Smith of Sidney, Ohio; Darla Strunk and husband Thomas of Port Jefferson, Ohio and Mrs. Dottie Huddelston and husband Steve of Sidney, Ohio; nine grandchildren; eleven great-grandchilren; and one great-great grandchild. One brother survives, William Earl Reeves of Sidney, Ohio. Deceased are two brothers, Robert Reeves and Theodore Reeves; one sister, Viola Moody; one son, Donald Leroy Westfall; one daughter, Gloria Jean Westfall; one grandchild, Chuck Brackney and one great-grandchild, Dustin Bey. Mrs. Clark enjoyed sewing, embroidery, and was a Brownie troop leader at one time. She was a member of the Church of Christ in Port Jefferson, Ohio and worked at Copeland Corp. for ten years as an assembler retiring in 1978. Funeral services will be held at Salm-McGill and Tangeman Funeral Home in Sidney on Wednesday, February 25, 2009 at 11:00 AM with Rev. David Clem. Burial will be at Glen Cemetery, Port Jefferson, Ohio. Friends may call at Salm-McGill and Tangeman Funeral Home in Sidney on Tuesday, February 24, 2009 from 4-8 PM. Memorial contributions may be made to Wilson Hospice, 915 W. Michigan St., Sidney, Ohio 45365. Envelopes will also be available at the funeral home.